The Chief Executive Officer of SAITM institute Sameera Senaratna is not a doctor confirms Sri Lanka Medical Council (SLMC). This was in response to an inquiry made from SLMC by All Ceylon Medical Officers’ Association to find out whether CEO of SAITM who appears as a doctor is a real doctor. 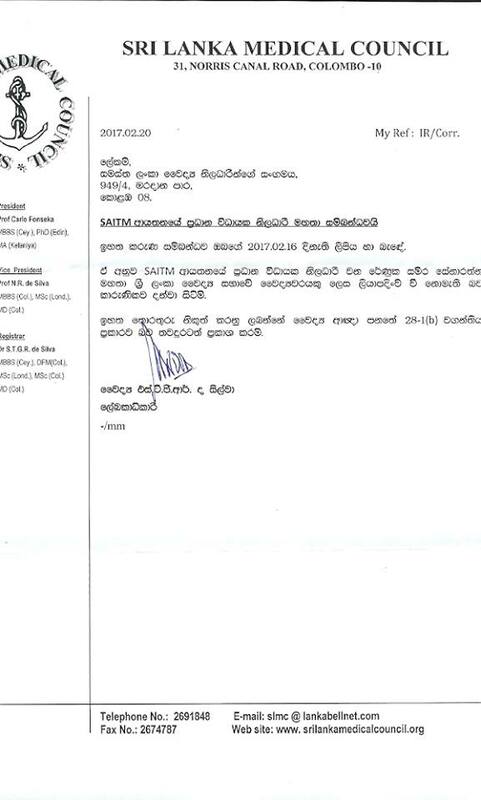 The SLMC confirms in writing that Sameera Senaratna is not registered as a doctor in SLMC. So thats ok, the CEO need not to be a doctor.